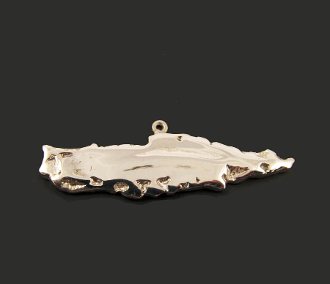 This handcrafted .925 Sterling silver piece is in the shape of the outline of Vieques. The piece celebrates the unique geography of the island as well as its beauty. Please inquire about special orders for castings in other metals or setting gemstones in your favorite locations.